Pilgrimage to sites rendered sacred by the visit of an exalted being, a holy event, a miraculous occurrence, a wonderous natural phenomenon, a sacred mountain-summit, or a meeting of rivers has been an established practice in India since ancient times. These sacred landscapes may also be energised by mythological associations, astronomical symbolisms, or other associated perceptions of sacrality. Historical records inform us about pilgrims who travelled long distances across Asia to such sacred places in India. In Buddhist practice, for example, by the early to mid-centuries of the first millennium CE, eight places visited by the Buddha came to be associated with the ashta-mahapratiharyas (eight great phenomena) and evolved as important Asian Buddhist pilgrim networks – Lumbini in Nepal, and Bodhgaya, Sarnath, Kushinagara, Sankissa, Shravasti, Rajgriha and Vaishali in north-eastern India. Buddhist belief in a cult of the relics meant that beyond these eight great places of pilgrimage that the Buddha had visited, more stupas and pilgrim centres emerged across Asia. 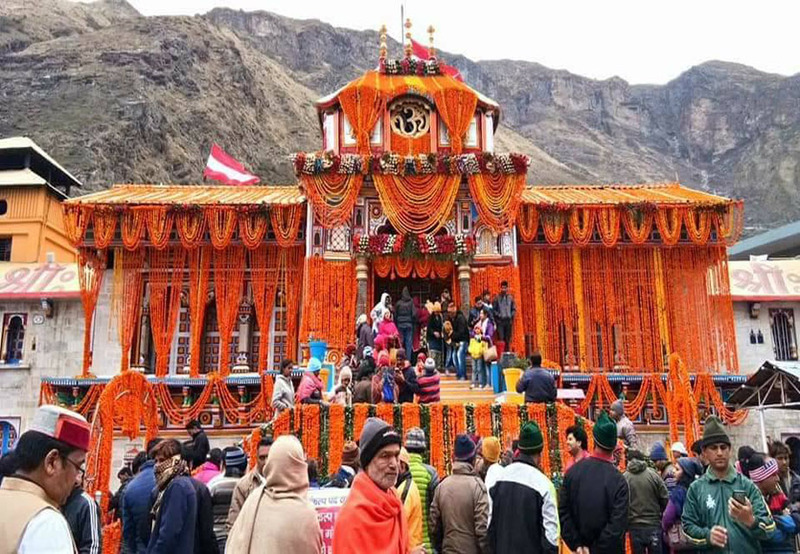 Hindu pilgrimage centres known variously as tirthas, sthanas, or dhams also proliferated and became important foci for the devout to congregate, offer prayers and earn merit in this life and beyond – Kailash, Gangotri-Jamunotri, Sabarimalai, Badrinath-Kedarnath, Kashi, Chidambaram, Tirupati-Tirumala, and Kamakhya to mention a few. Among these are also the Vaishnava ‘Char Dham’ (Badrinath, Dwarka, Puri and Rameshwaram) and their corresponding Shaiva tirthas as envisioned by the eighth-century Advaita theologian-scholar Adi Shankaracharya. Pilgrim centres in all these cases, and in other belief systems such as the sacred Dargah Sharif of the revered Sufi saint Moinuddin Chishti at Ajmer in Rajasthan, however, have never been associated with the commemoration of royalty, or the establishment of earthly power, or the celebration of a political victory. To the contrary, these tirthas, sthanas, dargahs and dhams have been perceived as places of extraordinary spiritual power and beauty where the mind and spirit could aspire to transcend the realm of earthly power and human attachments. Temples built to consolidate political authority through the medium of religion are on the other hand a distinct category, often known as state temples of kings. The great temple of Tanjore (Thanjavur Brihadishvara) of Rajaraja Chola, the Gangaikonda-cholapuram of Rajendra Chola, and the Kailashanatha of Rajasimha Pallava at Kanchipuram in South India are a few among the well-known state temples in which the lingas enshrined in the temples’ sancta bear names of the respective kings suffixed with ishvara (Rajarajeshvara, Rajasimheshvara, and so forth) to establish a direct link between the deity and the king. 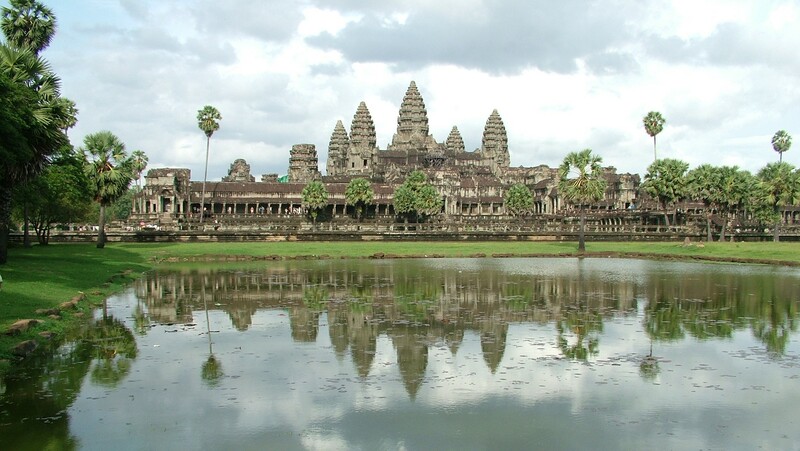 The chief focus around which the idea of a Cambodian dham for Hindu pilgrims is currently being imagined is the magnificent Angkor Wat with Vishnu as the patron deity, which happens to be a classic example of a Cambodian state temple-mountain of the great 12th-century Angkorian king, Suryavarman II. This king assumed the posthumous title of Paramavishnuloka, affiliating himself with Vishnu-worship and striking a distinct identity from his immediate predecessors by moving away from the practice of establishing Shiva as the patron deity of their respective kingdoms. The temple’s architectonics symbolise the cosmic mountain Meru of Indic affiliation, but Angkor Wat is not just a sacred summit where Vishnu as the patron deity resides: It is a masterly embodiment of the residence of the king (Suryavarman II) in the likeness of god on earth, who is the invincible world-ruler (chakravartin) and eventually identifies with Vishnu to dwell as Paramavishnuloka after his death. The long-spanning visual narratives in the sculpture gallery of the third enclosure of Angkor Wat are, again, not just simple visual translations of Hindu epic and puranic mythologies. Each of the episodes – from the Ramayana, Mahabharata, and Bhagavata – has been carefully chosen to become a powerful visual metaphor of the king’s political power, administration, and expanding empire. The finely carved scenes portray scenes of punishments and rewards, and epic and puranic contestations and battle-scenes, alluding at the same time to Suryavarman-II in the likeness of Vishnu, who emerges as the undisputed victor. Amid these is a splendidly elaborate and inscribed visual narrative of a grand historical procession of the great king Suryavarman II himself, drawing divine authority from the lord of Mount Shivapada and assuming complete control over his vassal-chieftains. 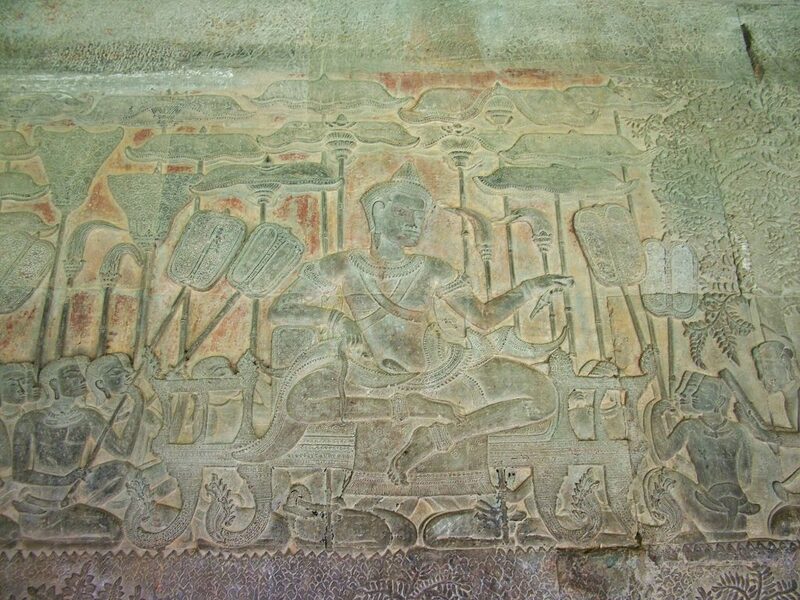 King Suryavarman II atop Mount Shivapada, third gallery of Angkor Wat. Credit: Parul Pandya Dhar. 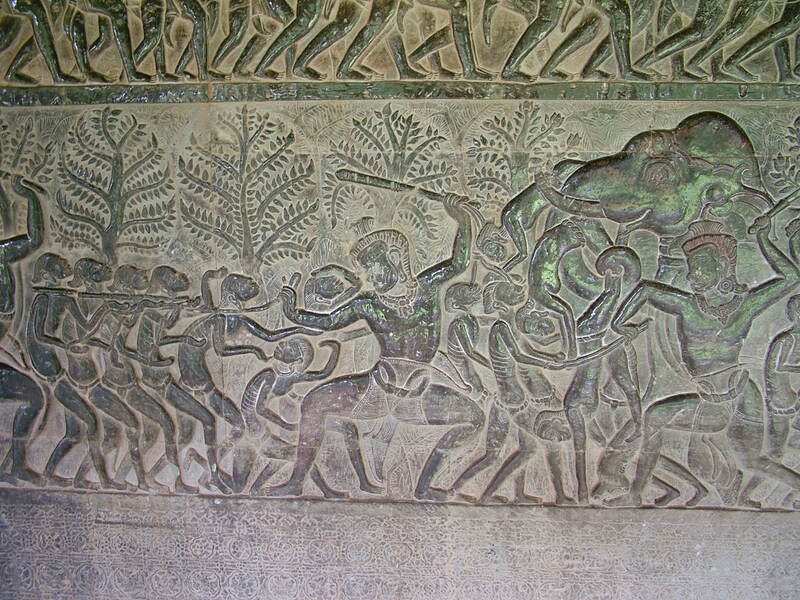 Punishing the guilty in hell, third gallery of Angkor Wat. Credit: Parul Pandya Dhar. 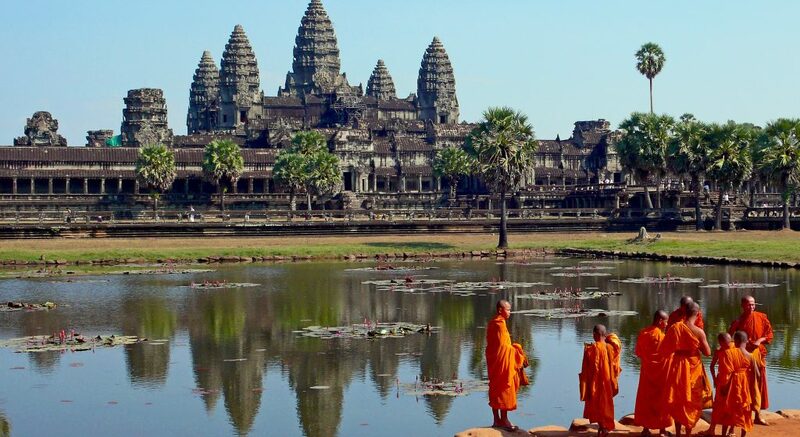 Angkor Wat, the grand state temple of King Suryavarman II and the chief inspiration for building a fifth dham in Cambodia, it follows, does not fit the requisites for a tirtha or dham. It is, in fact, a magnificent celebration of earthly power. Angkor (derived from Nakor/Nagar) means city or state, and Angkor Wat translates quite literally as ‘city-temple’ or ‘state-temple’. 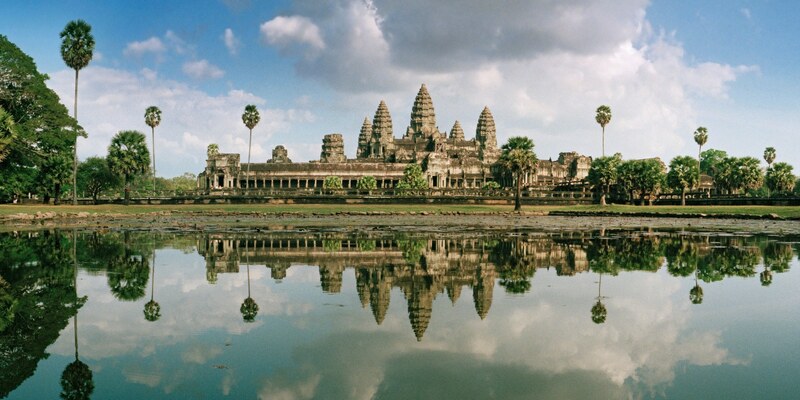 In fact, the sprawling Angkor as an expansive region in the heart of Cambodia harbours the successive state-temples of medieval Cambodian kings. The idea of ‘Angkor as dham’ is then clearly preposterous, revealing blissful ignorance of Cambodian history as well as the idea of a dham. But this is not all. Treating Hinduism or Buddhism in Cambodia as a mere transplant of Indic religious culture is regressive to say the least. Such a view is insensitive to the region’s agency and transformative impact on cultural ideas and imagery that travelled from India to Southeast Asia in the past. It takes us back to a long-abandoned chapter in the historiography of India-Southeast Asia cultural connections by re-imposing the notion of ‘Greater India’ upon Southeast Asian nations. Indic religious, artistic, and political ideas did reach and influence Southeast Asia in the ancient and medieval past. But these historical processes cannot be viewed as mere transplants or as forms of cultural colonization. It is now well-established that Southeast Asian courtly cultures selectively appropriated and assimilated certain aspects of Indic cultural ideas and systems, and next localized and assimilated these within their own cultural matrix to suit their specific requirements. 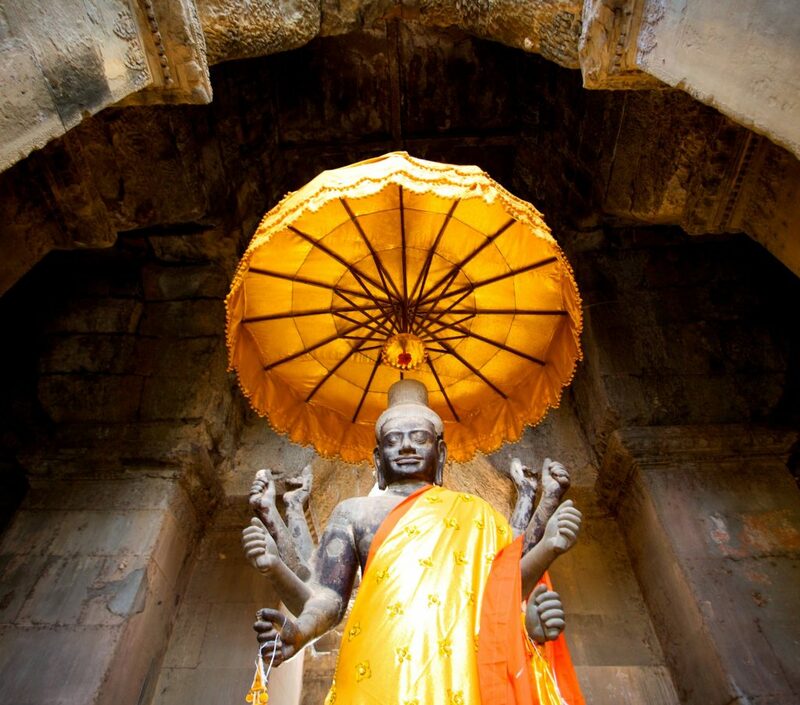 Hinduism in Bali or Buddhism in Cambodia is not a mere gift from India. Across Asia, these religious practices have taken new, localized forms. 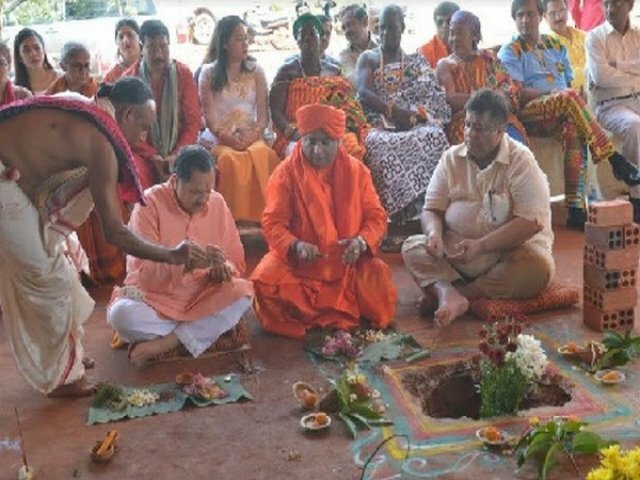 The project of making a Hindu dham in Cambodia as per current Indian rituals and practices ignores Cambodian agency in the journey of Hinduism to Southeast Asia and revisits a redundant notion of ‘Greater India’ or Indian cultural dominance in the region. At this point it is important to discuss Cambodia’s own unmediated and enthusiastic engagement with its Hindu past, even though the country’s demographics today are predominantly Buddhist. Cambodian Ramayana, known as Reamker, is a much-respected and practised performance tradition to this day. Reamker sculptures and paintings, as much as the many Shaiva and Vaishnava monuments in Cambodia are cared for, conserved, visited, and well-integrated in the present milieu that comprises a predominantly Buddhist population. At Angkor Wat, imposing statues of Vishnu are lovingly dressed in yellow silk-satin and revered as forms of Buddha or as Ta Reach, and revered by Buddhists and Hindus alike, despite a general awareness that this was a Vishnu temple built by Suryavarman II and is carved with Hindu mythologies and narratives! What could be more beautiful? By forcefully imposing a fifth Vishnu dham in Cambodia, the misinformed proponents of this enterprise are putting at great risk an existing harmonious yet delicate equilibrium between Cambodian believers of Buddhism and Hinduism, the consequences of which could be grave. Project Hindu dham in Cambodia is not just misinformed: it is a regressive step in the history of India-Southeast Asia relations that could start a dangerous chain of religious disharmony and unrest. 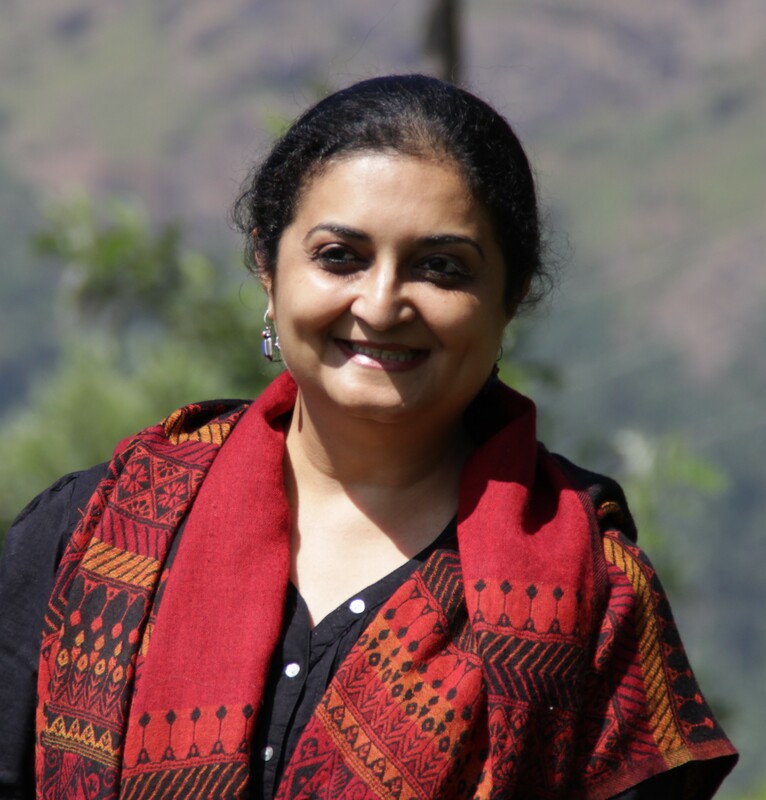 Parul Pandya Dhar is Associate Professor of South and Southeast Asian Art at the Department of History, University of Delhi.